Fort Minor, the solo project of Linkin Park’s Mike Shinoda will be playing London’s Scala on Tuesday September 8th. This will be the first Fort Minor show since their appearance at the Mean Fiddler in November 2005. Following the surprise arrival of the ‘Welcome’ video in June, Fort Minor played a show at LA’s Exchange. It worked out so well that Shinoda decided to fit in a few more around Linkin Park’s European ‘Hunting Party’ tour, adding Copenhagen, Berlin, Dϋsseldorf and now a London date. 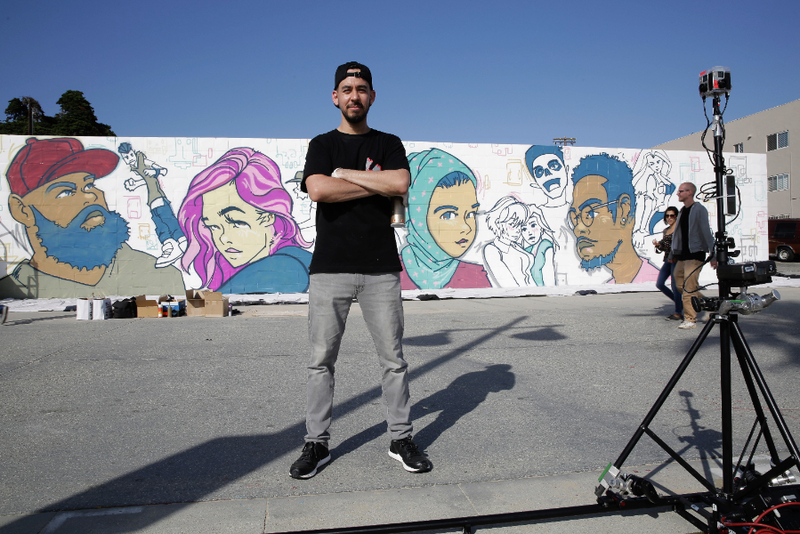 The ‘Welcome’ video is a groundbreaking 360 Virtual Reality glory and by using YouTube’s mobile app or Google Chrome, it is possible to move the camera around whilst Shinoda plays and paints a 12′ x 80′ mural on 1000 vinyl sleeves in the middle of L.A.’s Venice Beach. With its big melody and Shinoda’s signature snappy rhyming has whizzed past 3.6 million views already.